If you want to cut costs, you might want to start with fuel. Now might be a good time to review business and personal gas-saving tips. Not to pontificate, but you might want to post tips for your employees. 1. Shop by comparing gas prices. Some motorists like the free GPS app, Gas Buddy, for comparing prices. 2. Start and stop gently. This is the first step in saving gas while driving on arterial roads. 3. Observe the speed limit. In my frequent business travels up-and-down the west coast, it’s rare, very rare, that I see any business vehicles or passenger cars driving the speed limit. You can easily save five miles per gallon. 4. Get regularly scheduled tune-ups. A poorly tuned vehicle increases unnecessary use of fuel. 5. Change air filters. You can save 10 percent of your gas costs by regularly changing air filters. 6. Change your oil. You can reduce the engine friction and remove unwanted substances from your engine with clean oil. A smooth-running engine is best. 7. Turn off the engine to shun unnecessary idling. It pollutes the air and wastes fuel. Over time, you’ll save money if you shut off the engine if you’re going to idle a truck more 10 seconds. 8. Avoid the typical gas-savings gadgets. The Environmental Protection Agency, www.epa.gov, says only a handful provide any benefit. So refrain from buying the so-called fuel-line magnets and mixture enhancers. In fact, some actually will hurt your truck or car engine. 9. Buy the right octane gas. Unless your engines are knocking, stay with regular. 10. Take advantage of cruise control and overdrive. For freeway driving, this is a must to save money. 11. Check tire pressure. 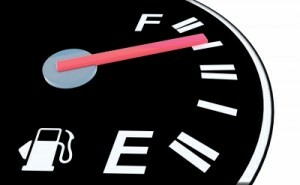 You can save 3 to 4 percent on gas with proper tire pressure. 12. Lighten the load. Make sure to clean out the trunk. You’ll save up to 2 percent with the lightest-possible load. 13. Don’t transport anything on your car’s roof. It causes aerodynamic drag and a minimum reduction of five miles per gallon. 14. Try not to use your air conditioning. It will save you at least one mile per gallon. 15. Be strategic in your trips. You’ll save twice the gas if you make all your deliveries in one trip than with several short trips on a cold engine. If you have a GPS, check your route. 16. Encourage car pooling. This will save employees’ gas, help unclog the roads and will help the environment. Cutting Costs — 9 Best Practices to Avoid Making Reactionary Decisions — In chaotic times, it’s common for businesspeople to be fearful and reactionary when they feel they must cut expenses. But entrepreneurs need to be unemotional so that they make decisions that will bolster their objectives. They can take the emotion out of their decision-making — by eliminating stress factors – if their priorities are clearly defined with values. For the Best Cash Flow, Manage Your Inventory Costs with 8 Tips — With proper inventory management, you can lower your expenses and increase your cash flow. For many businesses, that means taking a look at your inventory costs. When your products aren’t selling, obviously, it hurts. Products just lurking and collecting dust in your warehouse are costing you money. In a Slump? 11 Tips to Succeed in the Dog Days of Summer — Some businesspeople struggle to succeed in summer months. It’s as though they’re in a slump. It’s the hottest and most humid time of the year in many regions. Business seems to stagnate as the weather becomes hotter and sultrier. Perhaps you can relate. Have you and your team been slumping? Have you lost motivation?